As the year comes to an end Dapayk Solo treats us to another highlight of 2018. Earlier this year, he released his 10th studio album „The Calling“, which came loaded with new Tech & Deep House smashers, that have set the nations dance floors and festivals on fire, during the summer months. Now he comes full circle with a collection of remixes, to give those new classics a little twist. 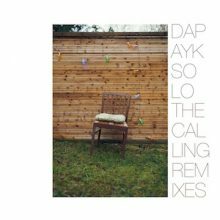 On „The Calling Remixes“ the original album most stand out tracks receive a make over by some of the scenes hottest remixers and artists such as Animal Trainer, Lexer, Raumakustik and Monkey Safari. This pack of remixes is a must to make you remember those magical moments that made your festival summer one to remember and to carry that feeling into the new year with you.